Indonesia is abundant with tales of the supernatural and many Indonesians or people who live there believe human spirits are true. 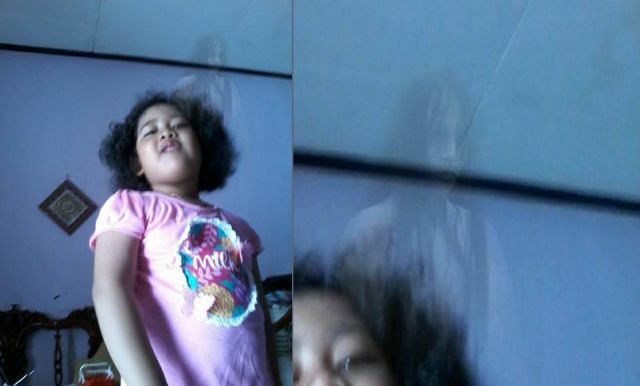 The following image of the 5-year-old girl Delisa in Depok, a town located in the outskirts of the capital city of Jakarta, shows what appears to be the ghost of a young teenager standing behind the girl.  Original image left shows the 5-year-old girl with the ghost in the background. Delisa’s mum Devi Janti who sent the image to UFO Sightings Hotspot is adamant there was no one standing behind her daughter at the time she took the image with her tablet Samsung Galaxy on November 4, 2016. It is believed that human spirits seem to be drawn to or attached to a building or area and they will remain there regardless of who is living there. Some spirits are there to help you, and some are seeking help, and some are content with the situation at hand and just like being around humans because some do believe or think that they are still alive. And while human spirits normally not follow people, some of the occupants will know there is a spirit present and others, who are less sensitive, will not. In this case, it is quite possible that the daughter is aware of the human spirit as she has talked several times to her parents, that sometimes she saw a ghostly figure in the house which seems to follow the 5-year-old girl.